The best way for me to help you understand just how attractive and seductive the music on "One Minute Later" is to me, don't read on yet just listen to the opening track. This is the fifth album by guitarist and composer Diego Barber, the fourth to appear on Sunnyside Records, and each is a revelation. Barber, who hails from the Canary Islands (a Spanish archipelago off the northwestern coast of Africa), puts himself into musical situations that explore his fascination with sound, rhythm, and melody. For his new recording, he is joined in the studio by the rhythm section of Ben Williams (bass) and Eric Harland (drums) plus the amazing young percussionist Alejandro Coello who adds marimba, vibraphone, tympani, gongs, crotales, tam-tam and kalimba to the proceedings. The clean, clear sound allows the listener to listen to how the musicians interact. Whether it's the "Mrs. Robinson"-like groove of "Dilar River" or the dancing grooves of "Big House", the music invites you in. Even though Barber plays acoustic guitar throughout the album, the intensity with which he leads the band stands out. Harland is such a "joyous" and, yes, "busy" (at times) drummer, his groove infectious that one can't help but smile. Williams is the foundation on the album; at times, he seems buried under the sound but, if you pay attention, his solid work helps push the music forward. There are moments throughout when it seems like the quartet is a percussion ensemble, rumbling along or steaming ahead. There's also pieces such as "Atlas" where the melody dances atop the powerful rhythms supplied by Harland and amplified by Coello's percussion array (one can hear marimba, vibes, crotales, and the tympani as the piece flows forward). Beauty exists here as well. 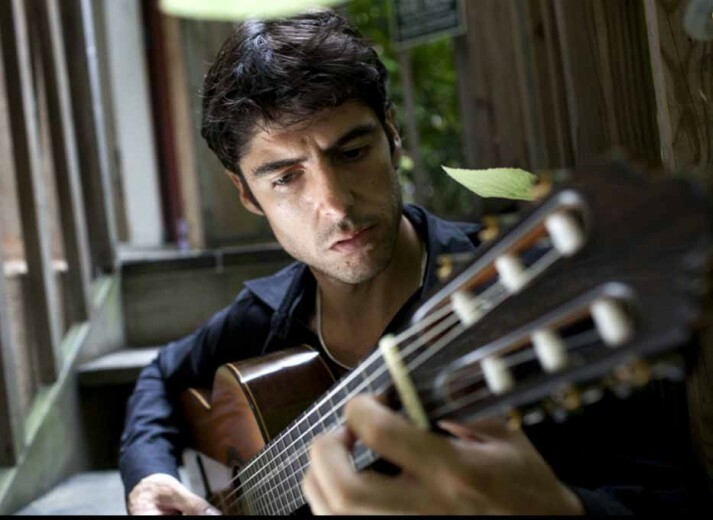 The splendid solo guitar ballad that closes the album, "Elvira Maria", is a sound portrait of love, dedicated to the guitarist's girlfriend. The music bears the inspiration of the Spanish province of Granada (southern Spain along the Mediterranean sea). Several of the tracks bear the name of mountains ("Mulhacen" and "Veletas's Peak") while the album title refers to a passage from the Federico Garcia Lorca's "Poet in New York." 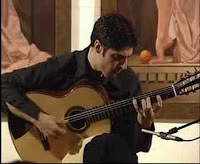 The music also bears witness to Diego Barber's intense search for expression through his music and his interactions. He is the leader of the group but is also a member; he doesn't play over Harland, Williams, and Coello but with them and, in the long run, that's what's so attractive about the recording for this listener. Getting lost in the music, putting aside the day-to-day annoyances as the morning sun streams in the windows, "One Minute Later" lifts the spirit ever-so-sweetly. 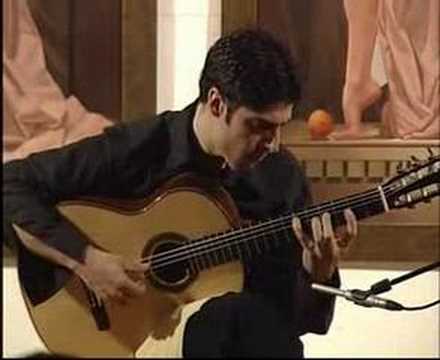 Diego Barber is a technically impressive guitarist but its the heart in his music that really stands out. For more information and more sound clips, go to sunnysidezone.com/album/one-minute-later. A glance at the cover of the new album from pianist, composer, and educator Laszlo Gardony tells you all you need to know. 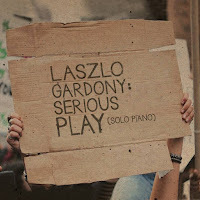 "Serious Play (Solo Piano)" is his 13th release as a leader and third solo album. If you have ever met the pianist and seen/heard him play, you know the intensity in which he brings to performance and music. 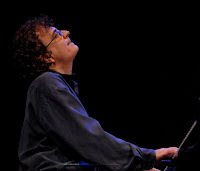 That intense nature has a "fun" side, a leaning towards the blues as well as a powerful percussive attack that can leave listeners breathless, But Laszlo Gardony also has a gentle side, one that also exposes his loved for jazz, blues, and classical music. Sound engineer Paul Wickliffe captures that spirit, that power, wonderfully on this recording. Opening with a powerful, gospel-inflected, reading of "Georgia On My Mind", the music easily draws one in. The power in the piece is in how Gardony gets to the emotional center of the music, gives the listener time to reflect on that, and then opens up, ever-so-gently. There are a few moments when this listener imagined the pianist hushing a crowd at a "rent party"with the "deep blues" feeling in his playing. Next up is John Coltrane's ballad "Naima" - even as Gardony caresses the melody, one can hear the power building in the chords coming from his left hand. As he enters the solo, one can hear the influence of McCoy Tyner in his performance. The "power" builds,, the rhythm of the music is suspended, the notes cascade from the speakers in torrents; at one point, I had to stop the CD to go answer the phone. I reentered the music at the place where the album stopped and, when it started up again, it felt as if I had been dropped into a Steve Reich performance, the percussive nature of the piano, the static bass notes, and the circular melody lines hinting of the composer's work from the 1970s and 80s. Before the piece comes its close, the pianist returns to the melody bathing it now in sounds not unlike the minimalism of Erik Satie. Those two tracks take up over 33% of the 39-minute program. 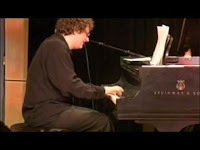 The title track comes next, a powerful original composition with chords that remind this listener, at times, of Peter Townsend's "Pinball Wizard" interpreted by Bruce Hornsby. And so, if you enjoy solo piano, I leave you to discover the rest for yourself. Laszlo Gardony is wonderfully imaginative, his music conjuring up images of busy urban thoroughfares, starry nights in the woods of New England, of hushed audiences in a concert hall, and so much more. The program closes with "Over The Rainbow", a song which one could see appealing to a young pianist sitting in a practice room in the Bela Bartok Conservatory in Budapest, Hungary, dreaming of new worlds to explore. "Serious Play" does in essence, in fact, and in deed, describe this lovely album down to its resonating final chord. For more information, go to www.lgjazz.com.